Fishing in Dorset is fantastic at the moment. We are now entering the best couple of months for most species, with the exception of a few winter species. If you are looking to go fishing this weekend, then you could do a lot worse than Chesil Beach. Reports and some videos I have seen from a diver suggest that Chesil Cove, could well be the top mark for something a little different. Both Trigger FIsh and John Dory, have been seen in good numbers with reports of lots of John Dory just hanging in the tide. A friend reported that he spotted two divers carrying a bucket load of John Dory, from the beach and then going back out to dive for some more. I think that is pretty sad. Why not take a few for the pot and leave what you don’t need. If you are targeting John Dory then small Ragworm’s or lures will catch them. For the Trigger fish, the best baits are live Peeler or Hermit Crab. Further to the West there has been quite a few Sole caught and for the first time this year I have heard of Golden Grey Mullet coming from Cogden. Small Ragworm or even better a Mepps with a small bit of Ragworm are ideal to target Golden Grey Mullet. Boat fishing has been very good this week as well. Most of the Weymouth charter fleet have been doing really well. 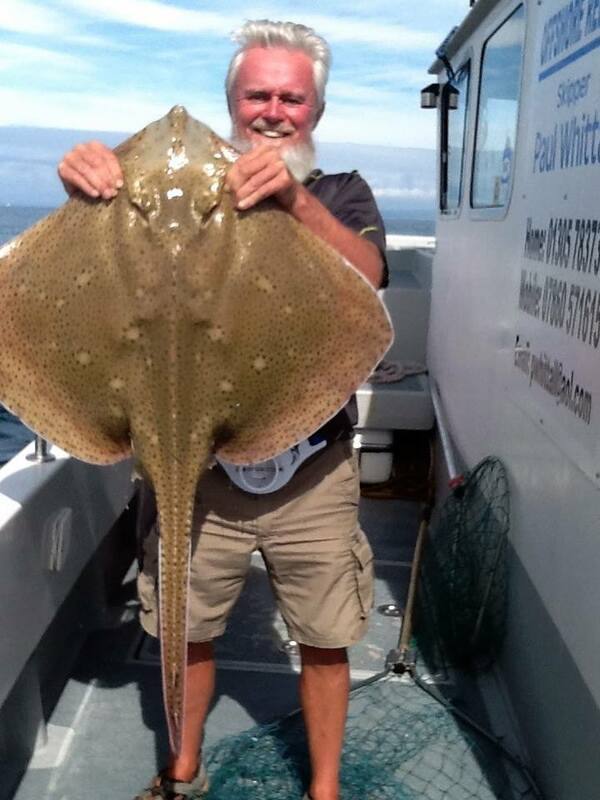 Paul Whittal on Offshore Rebel has been out targeting Blonde Rays and started the day well with a 24lb one. Lyle on Supanova has had a good mixed bag this week with some lovely fish including a few nice Bass. 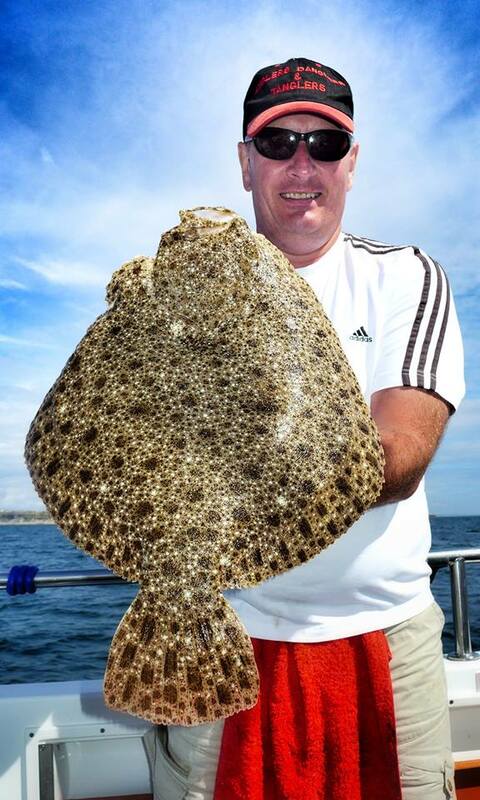 Chris Caines on Tiger Lilly has been into the Turbot. Chesil Beach forecast: With small tides this weekend you will have to work a little bit harder to get your fish. Use some visual aids to help attract the fish to your bait. Beads like these Sakuma floating ones can sometimes mean the difference between catching and blanking. They are great for Plaice, Gurnard and Bream. They also keep your bait out of reach of the Spider Crabs that are causing mayhem, especially towards Abbotsbury. Although the Smoothound prefer the larger tides, there have been so many of them this year that you are still going to have a good chance at them. Other species such as Mackerel and Garfish will be around in good numbers. Float fishing with light tackle for Garfish is one of my favourite types of fishing, though these days I normally target them with small lures, which is just as exciting. Once hooked they often jump clear of the water in an attempt to shake the hook. If you are flat fishing then use a size 4 or 6 hook with a thin sliver of Mackerel, fished just under the float. Using a bubble float with a 12 inch snood and slowly retrieving it works equally as well, and tends not to get tangled up. Portland: Small tides are great for Wrasse fishing. If you do go heavy and fish on the bottom, you have a slightly better chance of getting your tackle back, as the tie may not have swept it under a rock. Using soft plastics is much more fun. Rig them weedless with a 5 gram, yes gram not ounce, jighead or cone shaped weight and your tackle losses will be far less. The fight you get from a 4lb Wrasse on a lure rod is fantastic. You will get some Pollock around at first and last light, and if you are lucky some Bass. Unfortunately those tides do not coincide with high water today, so your chances are a bit more reduced. 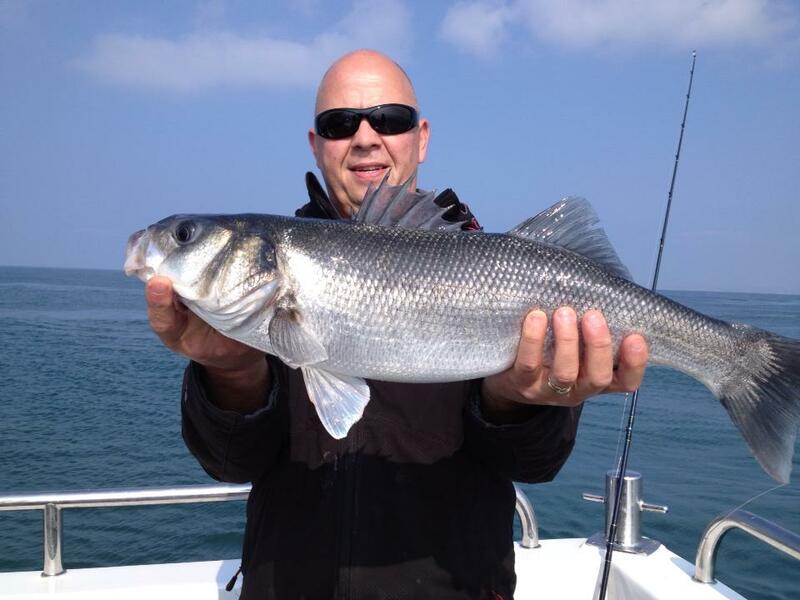 Portland Harbour: Small Bass, Scad, Garfish, Flounder and Mullet are all in the harbour now. The Ferrybridge is not the only place they are. They can be found around the Sailing Academy and at Sandsfoot Sailing Club. Weymouth Bay: There are lots of small fish coming from the piers, with the odd decent fish amongst them. The harbour is a great place to target Mullet. Preston Beach has been good for a few Rays and some Gurnard.